At Call End of Tenancy Cleaning we are proud to be named as one of the most qualified end of tenancy cleaning companies in London! The end of tenancy cleaning represents a cleaning service that needs to be performed at the end of your tenancy contract and is required by most of the landlords and estate agencies. It should be implemented due to specific standards and in a careful and professional manner. After the successful providing of this procedure, the customers are allowed to take their deposits back. 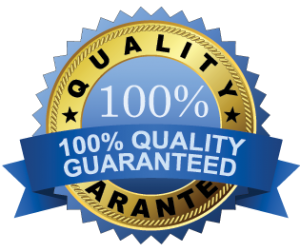 We offer 100% deposit back guarantee and 48 hours service guarantee! Traditionally the end of tenancy cleaning is presented with affordable prices that are suitable for the pocket of every customer. For the additional cleaning procedures that are used there are not unmentioned prices and there are special offers for the new customers. This month only you get 10% on all your bookings! Other services that are included in the end of tenancy cleaning are the thorough cleaning of all the kitchen cupboards and microwaves. Apart from this the stuff will take care for the perfect sanitizing and cleaning of the sink and taps in the home premises. The mopping and cleaning of the floor is also a procedure that is included in the price as well as removing of the grime and grease where it is possible. This month we offer 10% discount on all our prices. You can book a service via both phone and e-mail. Just give us a call on 020 3745 4386 or fill the form below. We are one very dedicated and experienced company that is ready to perform an outstanding professional end of tenancy cleaning for you. We have worked years to achieve success on the cleaning market and we take pride in our cleaning methods and competent cleaners. We understand that the end of tenancy cleaning is more than essential procedure that should be performed in a really careful manner. Your service is second to none. I got my deposit back without any problem! You did an outstanding job saving me a lot of time and money. Thank you! We have trained our cleaners in the most appropriate way, so they are well prepared to meet any cleaning obstacles that they may encounter during the working process. Our company has always relied on a team of cleaners that are very skilled and concentrated on the working process and we are sure that we can respond to everyone’s particular needs and preferences. Get a Special Quote – Call Us on 020 3745 4386! We promise to give our best during the working process and look behind every corner to make sure that every stain has been effectively removed. We have always been loyal to all of our customers and we strive to achieve perfection in every cleaning situation. We can also offer very useful customer support centres where a friendly will inform the customers about the conditions of the end of tenancy cleaning. Our company has perfect working time, that is suitable for those of you who have busy working schedule. We work all day from morning till nights and can perform the end of tenancy cleaning also during the weekends. The only thing that you need to do is to contact us and to arrange a meeting with our qualified cleaners.